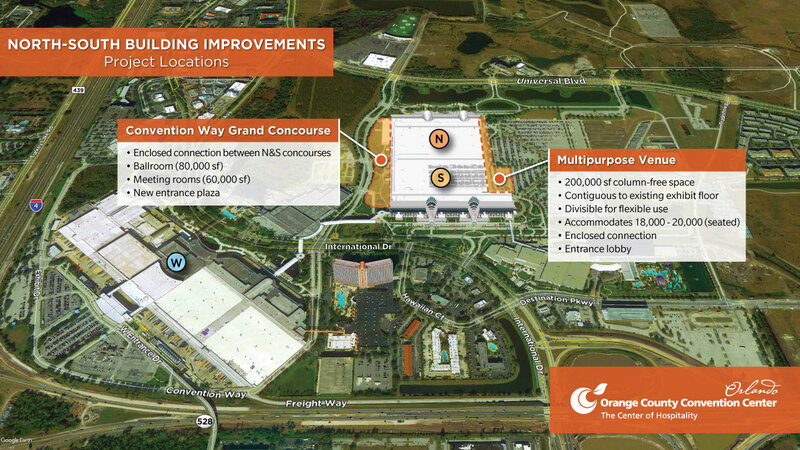 Convention Way Grand Concourse - an enclosed connection between the North and South concourses that includes additional meeting and ballroom space and provides a new grand entry to the North/South building along Convention Way. 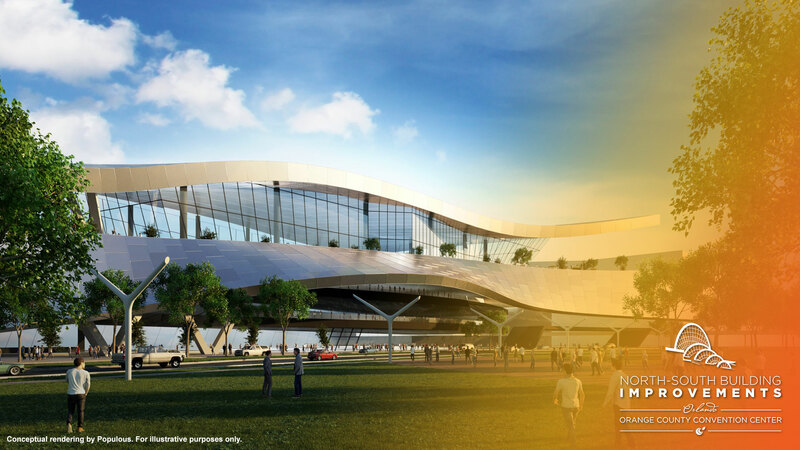 Multipurpose Venue - a 200,000-square-foot, flexible, divisible, column-free space with a combination of retractable and floor seating to accommodate between 18,000-20,000 guests. 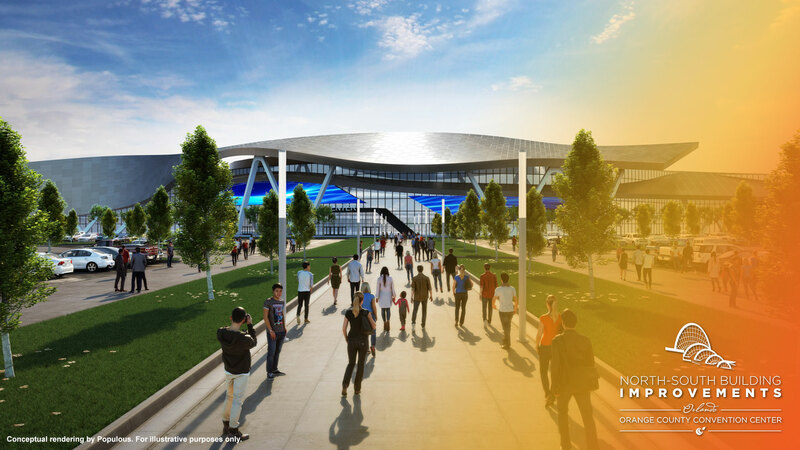 This project will also incorporate connectivity between the North and South concourses. Execution of contract with Populous, Inc.